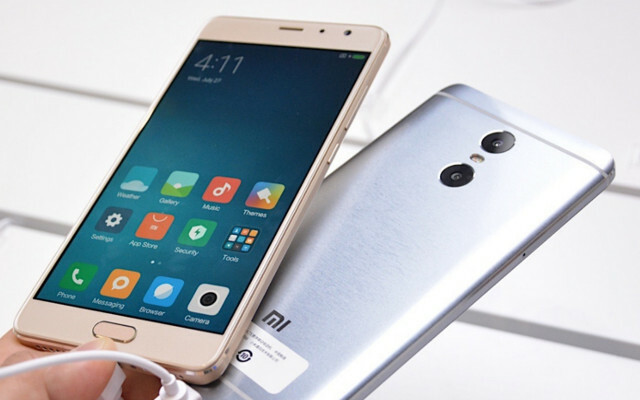 Xiaomi has launched a stunning new phone today and while many people believed the phone would be part of the flagship MI lineup, the company surprised us all by placing the new phone within its affordable Redmi lineup calling it the Xiaomi Redmi Pro. Amongst the most outstanding virtues in this smartphone we've got a Full HD OLED display, a fingerprint sensor and even a dual camera. There are quite a few more pros to consider so we've decided to go ahead and give you guys our complete rundown on the pros and cons of the Xiaomi Redmi Pro. Non upgradable storage. This is not a drawback that's exclusive to the Redmi Pro. As a matter of fact, it's a pretty common trait across the board. Basically, you're getting a dual SIM smartphone that gives you one of two choices: you either use the extra SIM slot to add another number or you place a microSD card in that same slot. On the plus side, the Redmi Pro accepts cards of up to 256GB, a pretty uncommon feature that will surely persuade more than one poweruser in Xiaomi's direction. Standard WiFi b/g/n connectivity. It's true that most people don't really take a good look at the WiFi connectivity offered in their handsets. However, for me this is of vital importance. Specifically, the Xiaomi Redmi Pro comes with support for b/g/n wifi signals. For what's pretty much a flagship phone we were surprised since we expected the phone to deliver a/b/g/n/ac WiFi connectivity, a standard connectivity that offers up to three times a faster download speed than the antenna placed on the Redmi Pro. USB Type C (a pro & a con). This one falls into both categories. It's a pro because we appreciate being on the vanguard of the technological advances but it's also a disadvantage when you consider the compatibility issues. Many devices still dont work properly with USB type C at the time being and USB Type C chargers and adapters are still considerably more expensive than their 2.0 counterparts. Going towards the practical point of things, if you happen to break your charger there's little chance that you'll happen to have a spare USB type C cable lying around the house. MediaTek Chipset. While we appreciate the fact that the Xiaomi Redmi Pro features one of the latest MediaTek chips available, we're still a bit dodgy when it comes down to the brand in general. In that sense, we'd much rather have the Pro come with a Qualcomm processor but then again, if that were the case the price would probably be higher. No radio...again. While the company has yet to confirm this, it's unlikely that the Redmi Pro will feature a radio. We say this because this has been a constant disadvantage for most of the Xiaomi lineup. In fact, it's been an issue with most manufacturers who apparently all decided that if we wanted to listen to the radio on our phones we should do so using our data plan instead of placing a radio antenna worth a few cents. Honourable mentions: No water resistance, non removable battery, a bit on the heavy side. A High end display. Once we've rallied up the cons of the Xiaomi Redmi Pro it's about time to talk about all the things this phone has going for it, mainly the display. Specifically, Xiaomi went all out on the display of its latest Redmi phone offering a Full HD 5.5 inch OLED display with a full NTSC color gamut. This is an excellent display that offers beautiful colors as well as a very positive experience when interacting with the phone. A dual camera to give you more professional pics. 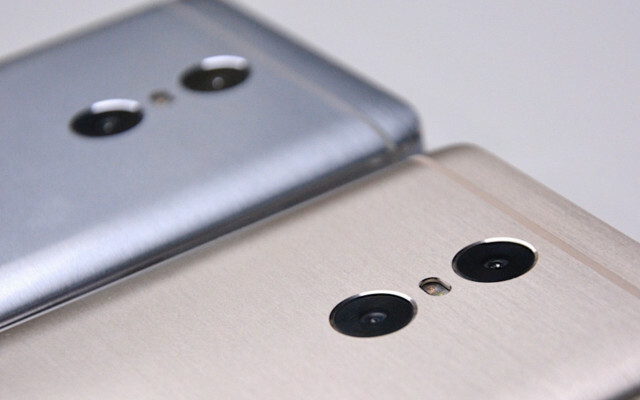 While it's true that the mid range isn't particularly known for offering quality cameras, the Redmi Pro actually comes with two cameras on its back. Two 13 mpx cameras that are arranged this way to offer the end user the ability to take pictures with a narrow depth of field, also known as a "bokeh" effect. This effect is typically reserved for reflex cameras with big sensors but since Xiaomi couldn't place a huge camera sensor on the Redmi Pro it simply decided to find a workaround for this. A fingerprint sensor where it really should be. Another advantage to the Xiaomi Redmi Pro is the fact that the fingerprint sensor is placed in the home button. Lately the Redmi models that incorporated this feature did so by placing the sensor on the back of the phone but since there's another camera on the spot where Xiaomi used to place its fingerprint scanner it decided to go ahead and place it within the home button. The Redmi Pro also has 3GB of RAM and a Helio X20 CPU going for it. There are different variants, with one of them coming with 128GB of storage and 4GB of RAM but we're assuming that most people will go with the entry level model that comes packed with 32 GB by default. Either way, they're both great options which will perform well under Android 6.0 even under the most intensive work sessions. A stellar price point. Finally, as we start to wrap up this review on the pros and cons of the Xiaomi Redmi Pro we couldn't leave without mentioning the incredible price point as one of the most attractive features of the phone. What's more, while the phone is actually pretty cheap to buy right now it's only going to lower its price as time goes by and in a few months it wouldn't be surprising if we found its price slashed in half on some sort of christmas promotion. Overall, this is a great phone and even if it weren't as affordable as it is we would still argue that this is one of the best phones in the market. Hope you enjoyed our rundown on the pros and cons of the Xiaomi Redmi Pro. Overall you can appreciate that the advantages far outpace the drawbacks and therefore we really can't see this as being a bad purchase for any user. With a solid 10 core processor, a spectacular OLED display and more than enough RAM to run several apps at any given time, the Redmi Pro is a guaranteed success that's bound to make its way to the best seller's list for quite some time. Is it launched in India ?